I just did my 00 S40 this past summer and opted for the Bosch pads but I've stuck with OEM on my 95 850T. The question of performance is really about choosing between the different compounds - Organic pads (OEM / Genuine Volvo) have the best feel during in town driving with the down side of dust. The semi metallics like the Bosch take a bit more pressure for initial bite but throw less dust and have a bit more fade resistance (ie repeated braking coming down a mountain), plus they wear the rotors faster (not a problem for me as I usually replace the rotors each time I do pads). Ceramics throw even less dust and work better as they warm up - but also feel firmer. Given the S40 is a light car, the firmness is actually welcomed. On the 850, I like the feel at low speed where you don't have to press too hard to get a light bite. Note to compare pricing on FCP, the Bosch semi-metallic fronts for the S70s go for $32, OEM Volvo go for $55 and ceramic Akebonos go for $60. As to the discs, I pretty much stay with Brembo or Zimms. Thanks! 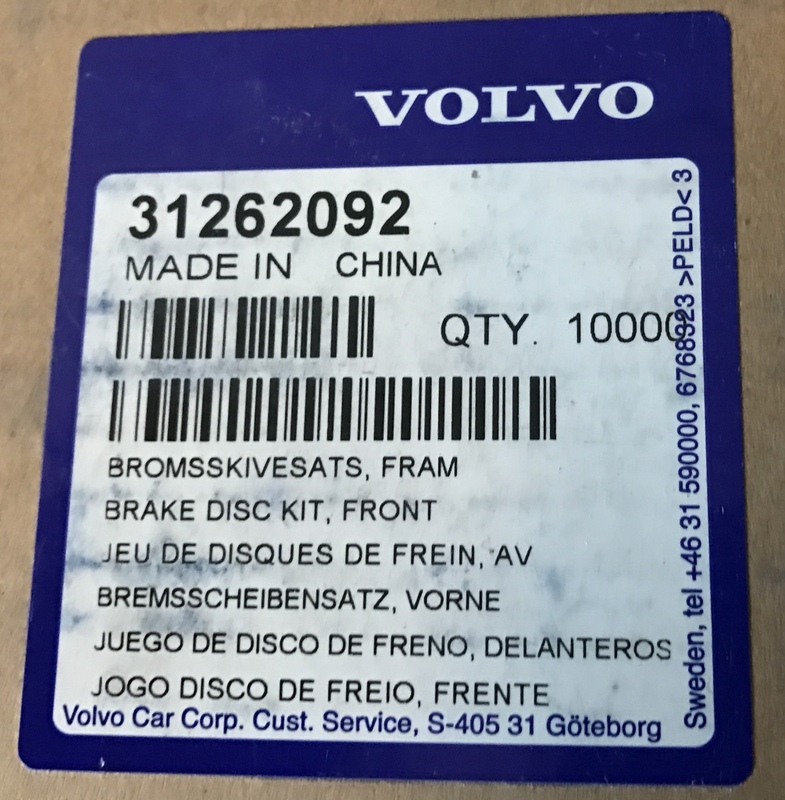 Wish I seen your post before ordering - I decided going OEM Volvo all around! Thanks again! Personally for the S70, I think that going Genuine Volvo is the best choice - similar to what I've done on my 850. If you don't like warped rotors, go OEM. Yes it is scary, however, they still should be to the Volvo spec quality. Quick Reply: 1999 S70 Front Dics & Pads!